It will even work on old and deep-set stains and odors. Safe for use around children and pets. 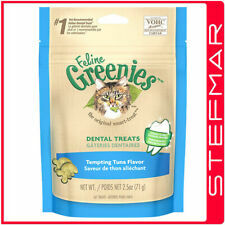 Check out our Large selection of categories for Dogs, Cats,Birds, Reptiles, Fish and NOW Farm pets. Outdoor pet enclosure stakes quickly and easily into your lawn and allows your cat to relax in the fresh air, watch the birds, exercise and enjoy the sunshine without the risks of escape or injury. 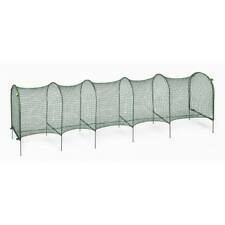 Made of solid steel components and rip stop netting. Its NOT going to keep the cat genie sterile but will certainly assist in the prevention of growth. YOU still must clean the liter. most people use 4 lbs. Litter Genie Refill (2 Pack), New Lasts Up To 4 Months With 1 Cat. Litter Genie Refill (2 Pack), New,. Condition is New sealed and ready to ship. Buy with confidence shipping is always fast. Don’t forget to check out our store for other great deals. Dosage and Administration: Feed free choice or crumble in food. Ingredients: Calcium (min.). 6.8%-(max.). 8.1%, Phosphorus 3.5%, Potassium 1.4%,Iron 3 mg, Zinc 1.25 mg, Manganese 0.5 mg, Copper 0.18 mg, Cobalt 0.06 mg, Iodine 0.05 mg, Selenium 2 mcg. The Uncle Norman's™ Pet Sponge allows you to shampoo your pet whether it is a dog or cat or horse with this 5 in 1 bath sponge. Get up to 8 washes. Uncle Norman's™ Pet Sponge is Paraben free. Treat your pet to a luxurious bath using Uncle Norman's™ Pet Sponge. Unlike any other product in the market, Natural Animal Solutions Ear Clear is a mixture of the finest plant extracts and natural ingredients with Aluminium Acetate Solution. NATURAL ANIMAL SOLUTIONS. I should have other pet bug sprays listed. The hair is easily removed. 3 Boxes Front Line Products Cat Pals Large Litter Box Liners. Lemon Scented. Get great odor control with Breeze Litter Pellets. Breeze Litter Pellets are cat-friendly and non-tracking. It's smart and simple!Unlike traditional clay litter, Breeze uses specially designed Cat Litter Pellets. These pellets are 99.9% dust free. Breeze Litter Pellets allow urine to pass through to the odor-controlling Breeze Cat Pad underneath, while leaving solid waste on top for quick, easy removal. Enjoy carefree living without litter odor or the mess of fine granules and dust. (Blue Kitty Doorbells. Beautiful, Loud, Pleasant sounding Bells. Simple and super effective way to teach your Cat to communicate [Can also be used to teach them to ask for Cat Nip, or Food.]. b.) When it wants, in or out, of a closed interior door. “Sift Clean” Disposable Litter Sifting Liners. Health Concerns - Use Sift Clean liners for sanitary reasons. Sift - Lift one SiftClean liner out with the waste (clean litter falls back into the box). No sifting trays to clean the waste off. 2 Fresh Step Drawstring Cat Litter Box Liners, Unscented, Size Large, 30" x 17"
2 Fresh Step Drawstring Cat Litter Box Liners, Unscented, Size Large, 30" x 17". Condition is New. Shipped with USPS Priority Mail. Cat-tastic strongly scented catnip spray can be used on most surfaces! Cats go wild for the strong catnip scent! Nano Burst Technology continuously realeases scent whenever the spray is applied, just like a Scratch N Sniff sticker! 290076 Features: -Antimicrobial protection. -Quality plastic construction for a long life and the convenience of soap and water clean up. -Size: Large. -Made in the USA. Color: -blue. Material: -Plastic. Slotted design makes cleanup easy Two toned, TPR handle has an ergonomic grip for ease of use. Hang hole for convenient storage Use with all types of litter Pairs well with the Petmate Top Entry Litter Pan. We always use high quality bubble wrap. GoodBye Odor for Ferrets 8 Ounce EXP 05/20. Condition is New. Shipped with USPS First Class Package. See pics for details. If you have any questions please ask. Thank you for looking. Happy Shopping! ! ! The bundle of feathers attached to the Chase Craze also acts as an enticing component and engages your kitty to play. KONG Active Chase Craze Rattle Ball & Feather Cat Toy. No need for your cat to chase his or her tail when you have the KONG Cat Chase Craze toy! International Veterinary Sciences Quick Bath Extra Thick wipes for Cats 10..
Quick Bath wipes are formulated with effective cleaners that remove bacteria and odors from your pets skin. Quick Bath wipes contain Vitamins A & E and Aloe Vera which promotes an overall healthy skin and coat.